Whiter Teeth in Detroit is as easy as picking up the phone and making an appointment with Szalai & Szalai DDS. 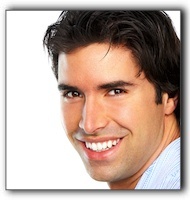 We specialize in teeth whitening for patients in the Detroit area. We can help you whiten your teeth through a number of solutions that range in cost, from less expensive teeth whitening treatments that you can do yourself at home, to our professional in-office Zoom whitening treatments. Give your local cosmetic dentists a call at 313-928-2323.